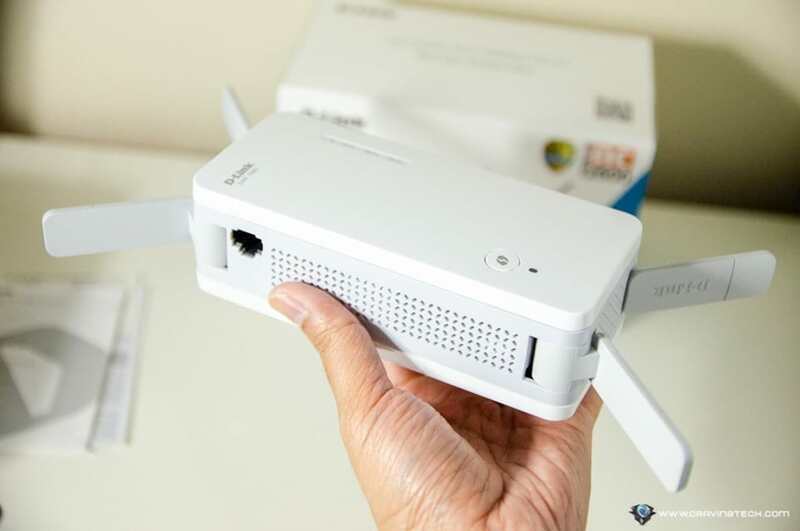 D-Link DAP-1860 AC2600 Wi-Fi Range Extender Review – There are times when even a powerful, wireless router like the D-Link COBRA cannot get its wireless signals through the thickest walls or floors of your home. Having a 2-3 storey house, a basement, or a huge backyard might be cool but sometimes, dead zones cannot be avoided. Times like these will trigger you to get a Wi-Fi Range Extender. However, if you truly care about your wireless performance, you do not want to just get any wireless extender product. 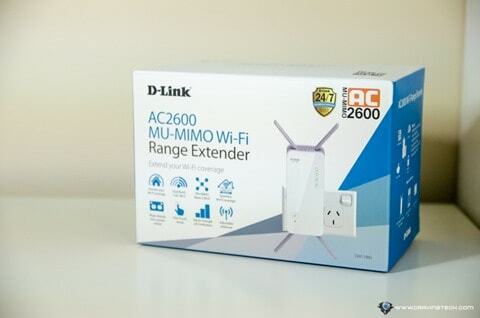 D-Link DAP-1860 AC2600 MU-MIMO Wi-Fi Range Extender is definitely not your ordinary Wi-Fi extender. 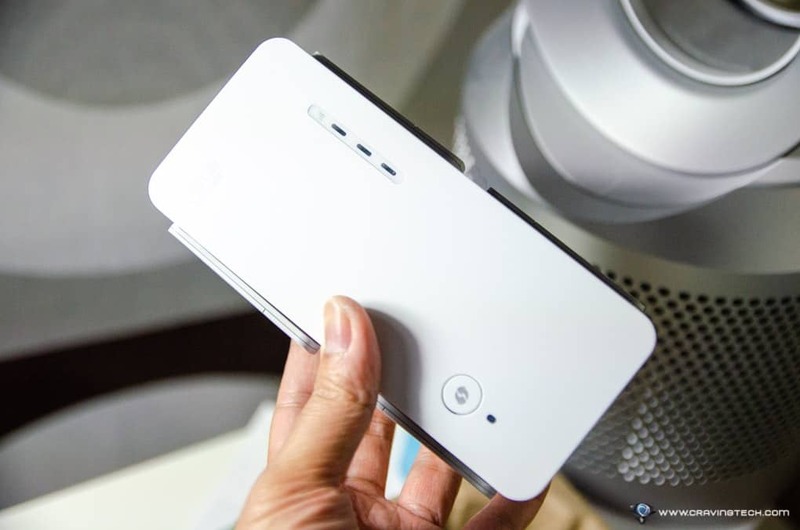 It supports dual-band connectivity (both 2.4GHz & 5GHz), MU-MIMO (Multi User – Multiple Input Multiple Output), AC SmartBeam, with High-Speed AC2600. Most Wi-Fi extenders only supports a single band (2.4GHz) and does not have the MU-MIMO technology. The AC2600 supports up to 1733Mbps (5GHz) + 800Mbps (2.4GHz) which is perfect if you are a power user who uses your wireless network for 4K video streaming from Netflix or playing online games competitively. We all know 5GHz is the best channel that has little wireless interference but it can be weaker in signal strength compared to the 2.4GHz channel. D-Link DAP-1860 makes sure you can get a boosted signal on the 5GHz channel even while you are watching an HD movie at your backyard or inside your man-cave downstairs. At a glance, this is no compact unit. To be honest, I’ve never seen a wireless extender this big but if you compare it with the other brands’ extenders supporting AC2600 (such as from TP-Link), D-Link DAP-1860 is actually quite compact in size (if not one of the most compact AC2600 extenders). It has 4 powerful antennas that can be folded/unfolded, depending on where you plug the DAP-1860 on. For example, if you don’t have a space at the bottom, you can still use 2 powerful antennas on the top. 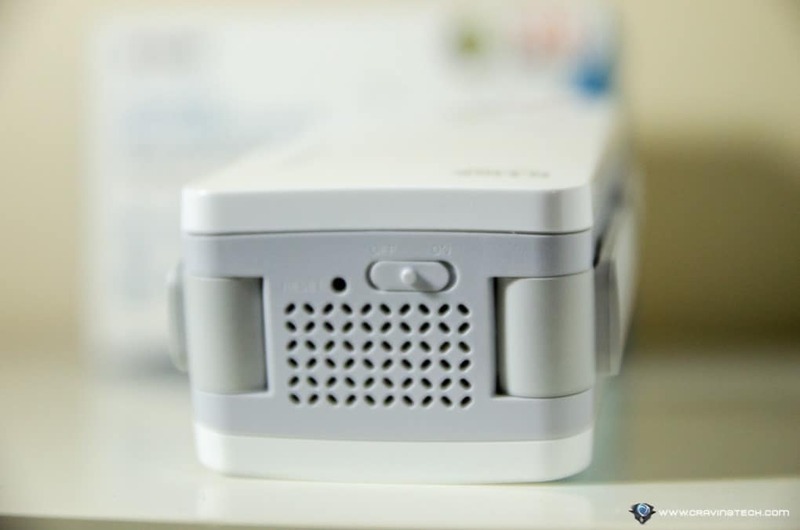 It has a Power switch, a WPS button to pair with your wireless router, and a 10/100/1000 Gigabit port to connect wired devices to your wireless network. 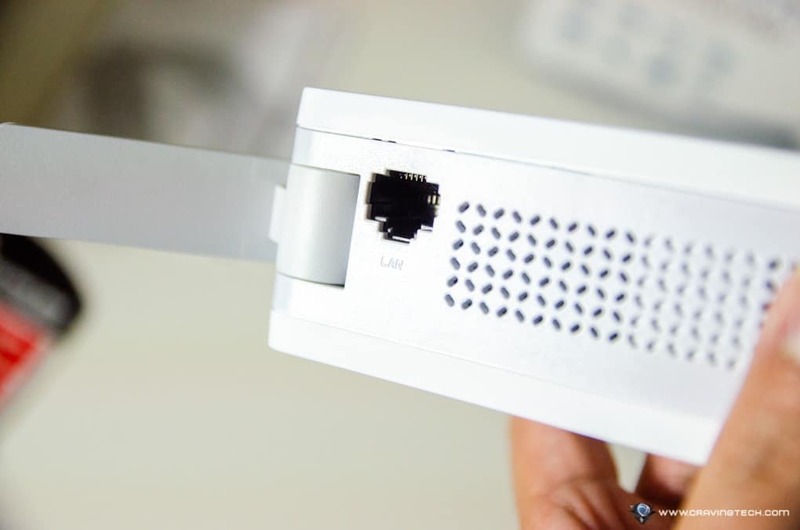 If you have a PS3, you know how flaky can the wireless connection be, so here, you can plug an Ethernet cable to the DAP-1860. 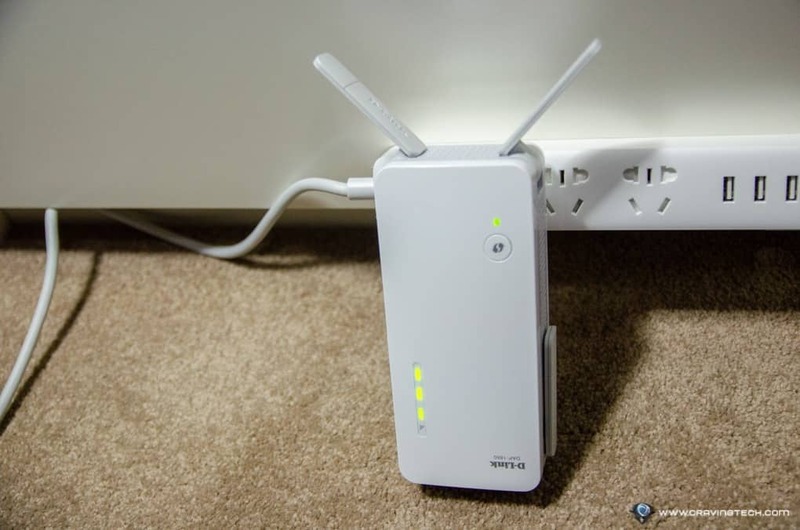 If you have one of the older wireless routers that do not support WPS, D-Link provides a couple of other methods to set it all up (using a web browser or a smartphone app). But in my experience, setting it up takes less than half a minute with the WPS pairing method. Green LED means the set up is successful and a new SSID wireless network has been created automatically by the D-Link DAP-1860. It will be named after your wireless SSID + the “-EXT” Suffix with the same wireless password grabbed from the router’s settings. 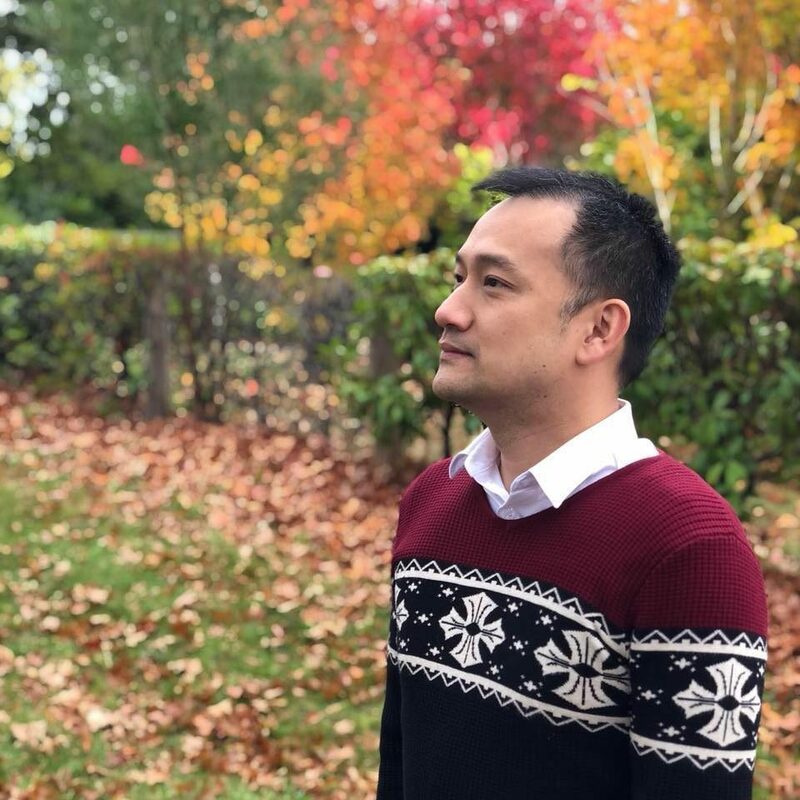 I was quite amazed at how easy this is and does not require you to understand any networking jargons or tech skills at all. 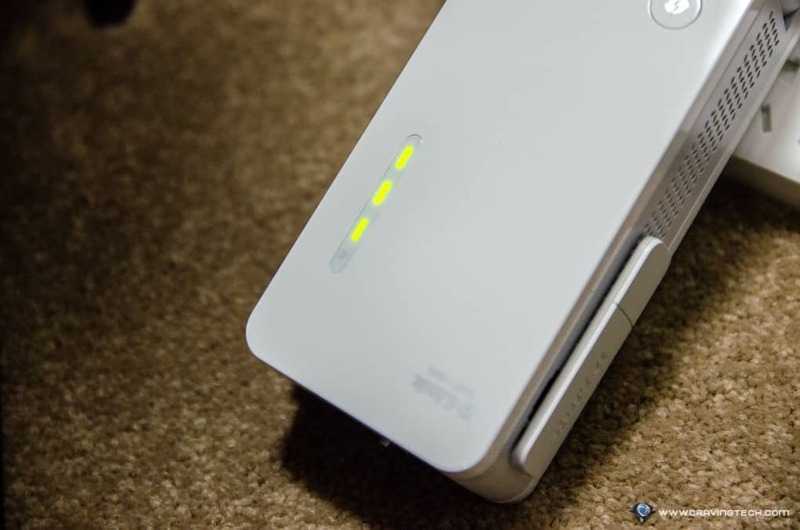 And if you are using a Whole Home Wi-Fi Enabled modem router such as the D-Link COBRA, TAIPAN, or DIR-882 (check out our reviews), you’ll get a seamless network with just one Wi-Fi network name (SSID) so you don’t have to switch networks manually. But if you don’t, it’ll still work great as an extender with “-EXT” (I was actually testing this on a NETGEAR modem router). 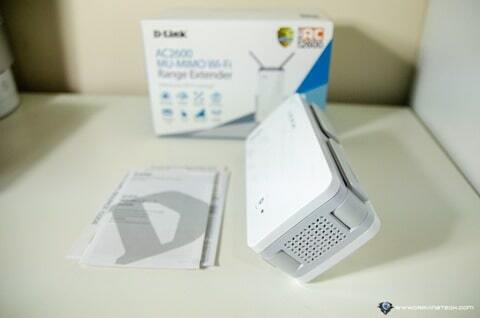 For the perfect, seamless network, D-Link COVR seems to take care of this magically but wait up for our review, which is going live in about a week. 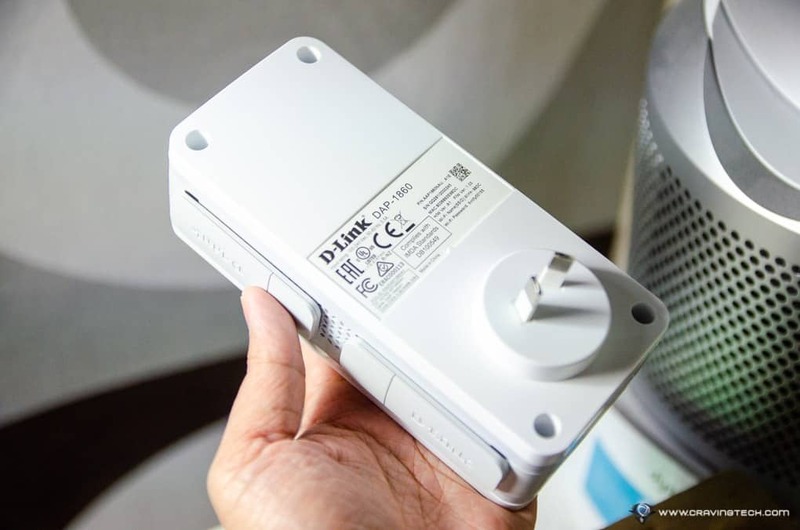 The DAP-1860 has a smart signal indicators on the unit which can help you to find the ideal location for your extender. Do you plug it next to the stairs? Or should you plug it next to that side table? Simply unplug and replug at the desired location and check the signal indicator to find the best place. Testing it with speedtest.net, I could get the same download/upload speed on the network. It proves that the DAP-1860 works really good and offers that same high performance. Plus, it strengthens the wireless signal on the dead zones of your house or apartment, giving you a more reliable wireless network. D-Link DAP-1860 AC2600 MU-MIMO Wi-Fi Range Extender offers the simplest setup with the best network performance possible on your wireless network. It’s a premium wireless extender designed and made for power users who don’t just browse websites or reply to emails. If you stream HD movies or play online games through the wireless connection, this is definitely for you. You can just plug it to a wall socket, or if you don’t have a space and use a powerboard (like myself), the DAP-1860 will work great as well on the floor. With AC2600 Dual-Band channel support, MU-MIMO, and 4-powerful antennas with a super-easy set up, D-Link DAP-1860 gives you a solid, fast wireless network performance around your home. Has an area at home with a weak wireless signal? Plug this nearby and see your problem goes away. 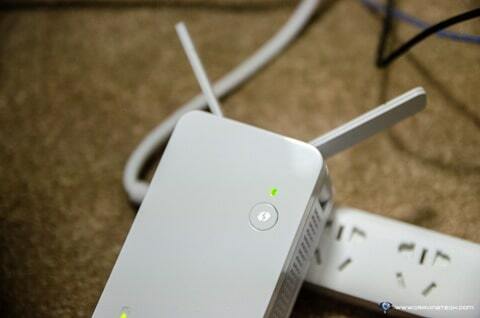 D-Link DAP-1860 is available now in Australia for AU$249.95 RRP. Next articleWin a Comic Con Double Pass at Craving Tech!